What is the "dark side" of the moon? The short answer? It's a misnomer. A cool-sounding misnomer! But a misnomer. Assuming they aren't talking about the Pink Floyd album or the French mockumentary, people who say "the dark side of the moon" are almost always referring to the moon's farside—which, despite pointing permanently away from those of us planetside, actually sees as much sunlight as the side facing Earth. Maybe you already knew that. But! Did you also know that slivers of the moon's elusive far side are constantly slipping into view? 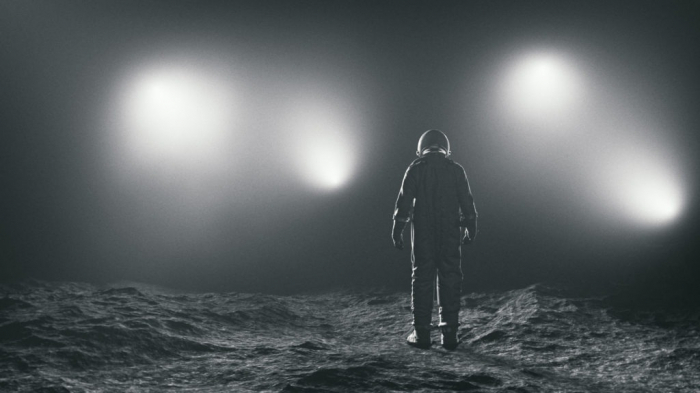 Or that certain lunar regions are, in fact, shrouded in permanent darkness? To understand why, you first need to understand why one side of the moon is forever pointed away from Earth. To those of us here on the ground, our planet's natural satellite appears to never turn. But it's actually turning all the time—it just spins on its axis and loops around our planet at the same rate: once every 27 days or so. When a cosmic body revolves around its parent and its axis at the same rate, astronomers say that it is "tidally locked." Our moon wasn't born this way. Astronomers think that, like many natural satellites, it began its life spinning at a very different rate. (In the case of our moon, astronomers think it once whirled faster about its axis.) But over time, gravity from our planet exerted torque on bulges in the lunar surface, forcing its rotation into synchronization with its orbital period. This phenomenon is actually quite common: Many of Saturn and Jupiter's moons are tidally locked with their parent planet. Tidal locking is why we had no idea what the moon's far side looked like until 1959, when the Soviet space probe Luna 3 snapped the first photos of that crater-laden landscape. We've gotten several good looks at it since: In 1968, astronauts aboard NASA's Apollo 8 mission became the first people to gaze upon the moon's far side with their own eyes. NASA's Lunar Reconnaissance Orbiter has been mapping the entire lunar surface in high resolution since 2009. And in the first few days of 2019, China became the first country to perform a soft landing of a spacecraft and deploy a rover on the moon's eternally hidden face. China's Chang'e 4 lander and Jade Rabbit 2 rover will give humanity its first close look at that remote lunar landscape. But the truth is: You don't need a spacecraft to glimpse the far side of the moon. While you can only see a maximum of 50 percent of the lunar disk at any given time, bonus smidges of its surface are constantly revealing themselves to careful observers. In fact, throughout a lunar cycle, up to 59 percent of the moon's surface becomes visible to skygazers on Earth—assuming they know what to look for. Check out this footage from NASA's Science Visualization Studio. It was made using satellite imagery captured by the agency's Lunar Reconnaissance Orbiter. The phase changes you're no doubt familiar with: As the moon's position shifts relative to the sun and the Earth, darkness envelopes and recedes from the face that's tidally locked with our planet (while retreating from and enshrouding the face that points away). But this animation—which condenses two and a half lunar cycles into a single 13-second gif—illustrates something about the moon you may not have noticed before: The moon kind of … wobbles. 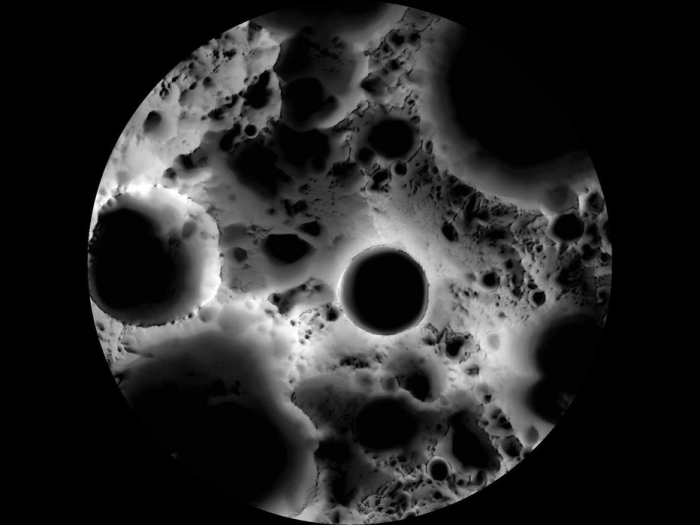 The image above is an illumination map of the moon's south pole. It's a composite image built up from more than 1,700 photographs captured by the Lunar Reconnaissance Orbiter over a six month period. Regions of the pole that saw no light in that time appear black; those that saw constant light appear white; the gray regions saw something in between. As a point of reference, the black circle near the center of the image is Shackleton Crater, an impact crater 13 miles across with a rim that casts a long, perpetual shadow on its interior. All of which is to say: "The dark side of the moon" might not technically exist, but "craters of eternal darkness"—which sounds even cooler—definitely do. Read the original article on wired.com.